A scullery is a room adjoining the kitchen where pots and pans are cleaned and stored. Sometimes the laundering of clothes is also done here. In Great Britain and the United States, houses built before 1920 often had sculleries located in the rear of a house (see sample floor plan). "Scullery" comes from the Latin word scutella, meaning tray or platter. Wealthy families who entertained would have to maintain stacks of china and sterling silver would need regular cleaning. The process of cleaning everything in a household was time-consuming—the number of staff required was proportional to the number in the household. Who took care of the household staff? The most menial tasks were carried out by the unskilled, youngest servants known as scullery maids or simply scullions. These domestic servants were almost always female in the 1800s and were sometimes called skivvies, which is also a word used to describe underwear. 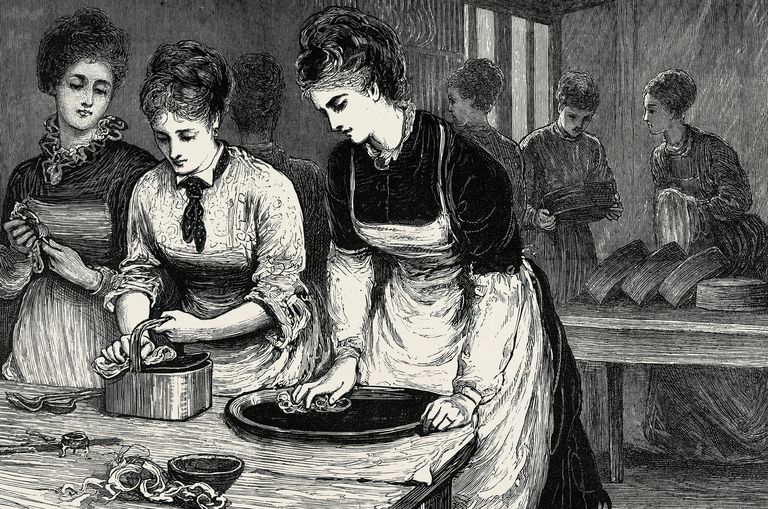 Scullery maids did the most humble tasks in the household, including laundering the underwear of the upper servants like butlers, housekeepers, and cooks. Functionally, the scullery maid was a servant to the other servants of the household. On the PBS website for the Manor House television series, The Scullery Maid: Daily Duties are outlined for the fictional Ellen Beard. The setting is Edwardian England, which is during the reign of King Edward VII from 1901 to 1910, but the duties are similar to earlier times—rising early to prepare for the household staff, lighting the fire of the kitchen stove, emptying chamber pots, etc. As the household upgraded technologically, these tasks became less of a burden. Sculleries and the servants who work in them are often featured in popular movies and television series, such as Upstairs Downstairs, The Duchess of Duke Street, and Downton Abbey. The home featured in the popular TV series, The 1900 House, has a scullery in the rear, behind the kitchen. Why Are Sculleries Thought of as British? For people living in the 21st century, it's sometimes difficult to think of the day-to-day existence of people living in the not-too-distant past. Although civilizations have known about disease for thousands of years, it's only been in recent years that people have understood the causes and transmission of sickness. The Romans built great public bath houses that still influence today's architecture. Medieval households would cover nasty smells with perfumes and herbs. Not until the reign of Queen Victoria, from 1837 until 1901, did the idea of modern public health come about. Sanitation became a big concern in the 19th century as the medical community gained a better knowledge of how to control infections. The British physician Dr. John Snow (1813-1858) became legendary in 1854 when he surmised that removing a town's pump handle would stop the transmission of cholera epidemic. This use of the scientific method to deter the spread of disease made Dr. Snow the Father of Public Health, even though the bacteria Vibrio cholerae was not isolated until 1883. The awareness of cleanliness to avert disease was certainly not lost on the members of the upper class. The houses we build are not built in isolation from what is going on in society. The architecture built at the time of Queen Victoria—Victorian architecture—would be designed around the latest science and technology of the day. In the 1800s, having a room devoted to cleaning, the scullery, was high-tech thinking. Franke, a Swiss company formed in 1911, made their first sink in 1925 and still sell what they call scullery sinks. The Franke Scullery Sinks are large, deep, metal sinks of various configurations (1, 2, 3 sinks across). We might call them pot or prep sinks in a restaurant and shop or utility sinks in a basement. Nevertheless, many companies still call these sinks after the 19th century name of a room. Kitchens were often additions, separated from the main house because of fire hazards. What we know as the "middle class" did not become a reality until the mid-twentieth century. What we consider an old house today was probably built and inhabited by a financially well-off family with servants. Understanding the past helps us take charge of the future. 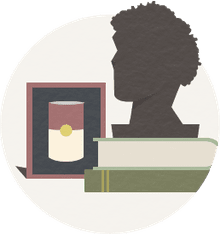 What Was Literature Like During the Victorian Period? How Did a Map Help Stop Cholera?